We value our customers, including their feedback. Scroll down to read what our customers have to say about Valley Subaru, in their own words. 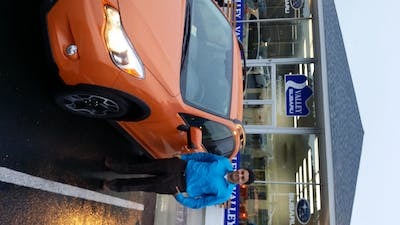 I haven't purchased a new car since 1991 and was dreading what I thought would be an ordeal...but my experience with Caroluce, Jessie and Kevin at Valley Subaru was totally pleasant. We were in and out in less time and for less money than I expected and I am delighted with my new Forrester. I would highly recommend this dealership and it's customer oriented team! I wanted a specific color and options. They found exactly what I said I wanted. I am a very satisfied Customer. I have recommended others to see Bill Metzer for a new car. Christian made me feel at ease and was extremely helpful with all of my requests. He was extremely patience with all my questions and concerns. I would like to thank Branden Fauber, Christian McFarland, Kevin Hahne and Nelson Mace for making my car buying experience phenomenal. The staff at Valley Subaru is one of a kind and they went above and beyond my expectations. Can't thank Branden enough for helping me out with my unique situation, and he still managed to get me the car that I wanted, a "New to Me' 2007 Hyundai Santa Fe. Excellent work, guys. You have gained a customer for life. I do a lot of research and Valley Subaru works in a team concept which helped a lot. they gave me the best deal, but not only that guys like Frank Smith are passionate about giving their best customer service. The process was seamless and I am a very happy customer. Also and this is huge the process in TRANSPARENT...no hidden charges in fact I had my new plates and thought I would have to go to DMV and get them registered under my new car but they did it there and knocked off a few dollars. My whole experience at Valley Honda was very positive. I found the car that I wanted and they helped me make an informed choice about my purchase. They made (Igor and Bruce) made the buying process very smooth. I would highly recommend this dealership if you are seeking a car for purchase. Fantastic buying experience. Bill Yetzer is a true professional. Got me to my car first try. Love me some Valley Subaru. Great car buying experience ever. Ken was fantastic! Certainly made the car-buying experience enjoyable, informative and very low-pressure. I planned on buying another Honda, so I started contacting various dealers on a Thursday. By Saturday, the car I wanted was in my Charlottesville driveway by Saturday. Thank you, Chad Arnold, for stellar service! Patrick Hescox was great to work with: professional, well-informed, excellent communicator, friendly, helpful. He made buying a new vehicle a very good experience. Patrick is trhe best! My husband and I are completely satisfied with the whole car buying process. Kevin and Adam treated my wife/I like royalty. We hadn't purchased a new car in a very long time. They took the time to answer all of our questions. We love our Pilot! Thanks Guys! Great prices, excellent customer service! Excellent at explaining and demonstrating how all the electronics & accessories work! My mother in law, who purchased a new Forester from a different dealer, was with me and said she learned more from listening to Christian explain things to me than she ever heard from the person she purchased from. I am certain if she buys a new car in future, it will be from him. I was a loyal Honda owner and the loyal customer of a now retired salesman for close to 15 years. I was extremely nervous considering a new car brand and working with a new salesman. These guys were very accommodating to my needs. Thank you for helping me find a fantastic vehicle. 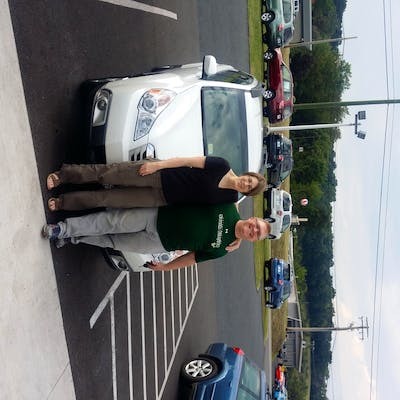 I had phenomenal experience at Valley Subaru in Staunton. I was able to get the vehicle I have wanted for years at a great price. They gave me more than I expected on my trade in and it only took a couple days and was driving my new Subaru. My sales consultant and the management team were very friendly and worked very diligently to get everything done fast as I was short on time. Phenomenal job and finding a vehicle at our family needs. And great follow up after the sale. Would recommend Kevin in the future. Thank you for the great service! Friendly staff that was very patient with my needs. They worked with me on my credit rating and communicated with me every syrup of the way. Would recommend them to everyone! Awesome Service, Knowledgeable staff, overall great place to buy from. David Edwards did great!! My experience was excellent at Valley Subaru. Frank Smith is outstanding and was KNOWLEDGEABLE, PATIENT, FRIENDLY, . Frank goes above and beyond and let's me visit as much as possible to have questions answered. He helped ease my mind when deciding between a 4 or 6 2016 Subaru Outback. I will definately refer to this dealership. Scott Simons, President, helped me as well which is amazing. 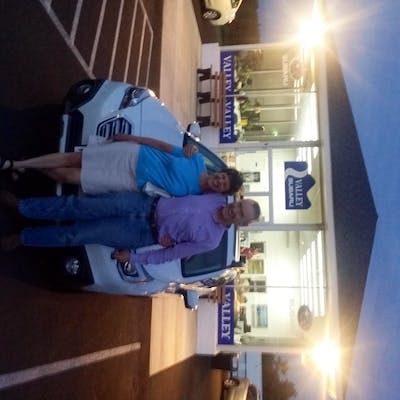 It was a pleasure working with Christian McFarland - something I thought I would never say about a car-buying experience. His professionalism, knowledge, and willingness to find us the right vehicle -along with offering a fair price - sealed the deal. Frank Smith was our salesman. He was friendly, knowledgable & great to work with. We love our 2016 Subaru Outback . The Subaru family are wonderful to work with. We would highly recommend this dealership! All of the folks we dealt with were courteous and professional! They took the time to work with us, locating the exact car we wanted and selling it to us for a reasonable price. Patrick Hecht was wonderful to work with. No pressure but knowledgeable. Answered my questions fully and helped me select the Outback over the Forester for my needs. The salesman was a nice guy and knew what he was doing. They happened to have a model with the features we wanted on the lot. We were pleased with the trade-in value of our car. The final price was competitive. The up-selling attempts were not excessive. All in all, the experience was as pleasant as a car-buying experience can be. 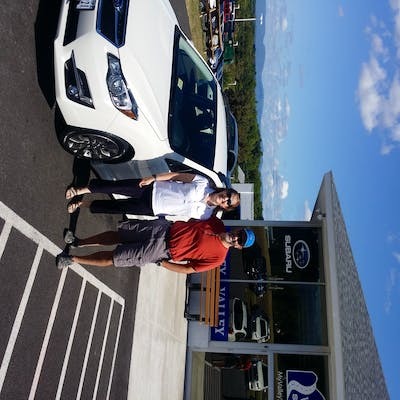 Patrick provided efficient, friendly and professional assistance in selecting my new Subaru, placing an order for a customized vehicle, keeping me updated on delivery date and financing options, and finally, delivering my new car. I’ll send friends to Patrick. In the past decade, I have purchased three Subarus from this dealership, which I've found to be first-class in both its sales and service. Highly recommended. I dealt with Christian and he was very good and on top about everything! 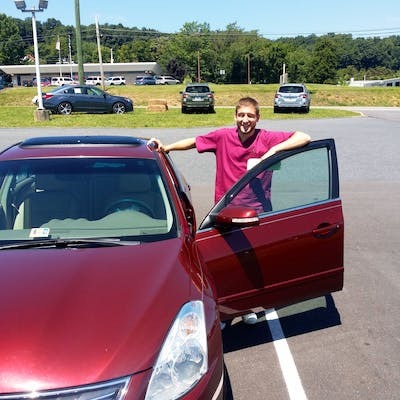 He gave me a fantastic deal that I couldn't pass up and heet me know the second the car I was looking for came in. 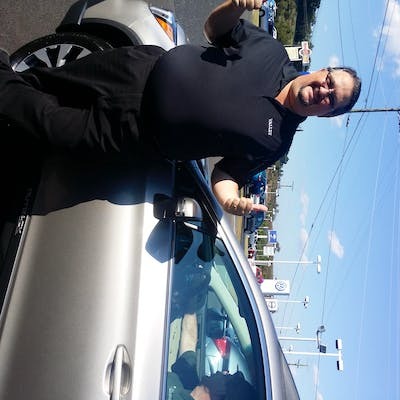 Two thumbs up Christian and Valley Subaru! I must say, the atmosphere at Valley Subaru is different from other dealerships I have visited recently, in that I was made to feel that satisfying my needs was a high priority. And, Patrick, Kevin and Charles demonstrated that they are competent professionals who know how to treat potential buyers. There was absolutely no pressure from any of the staff. I will definitely recommend Valley Subaru to my family and friends. Thank you! Frank Smith was recommended by two friends. He responded to our initial phone call and subsequent emails promptly. We spent four hours at Valley Subaru answering Frank's excellent questions, checking out a few vehicles, and taking a test drive. We appreciate that Frank was courteous and respectful and helpful throughout the process. We went home happy with a new 2015 Forester. These guys were great, from the initial phone contact with Jessi, to the actual contact with Patrick. 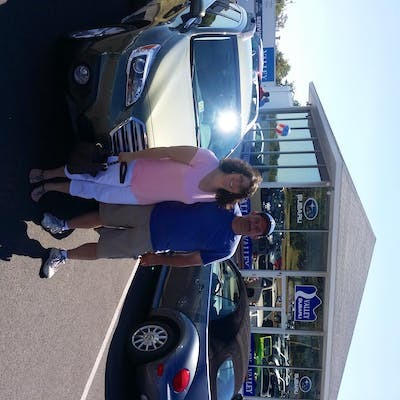 They found a great car for me and my family and we love it. They went above and beyond to make sure we were happy and that the deal went through. We would definitely recommend this dealership to anyone looking for a new vehicle.